Five Essential Resources on EB-5 Visas | The Law Offices of Yuri Tsyganov, P.L. Understanding the detailed EB-5 Visa program is no easy task. Eduction on how the program works and why it exists is essential in obtaining the proper Visa through the right channels. Forms, details, legal consultation, and more are all vital in the path to obtaining EB-5 Visas. The right sources allow interested individuals and families to make the right decision on investing and migrating to the US. The USCIS, otherwise known as US Citizenship and Immigration Services, provides a wide range of resources for perspective Visa holders. This site includes articles on why the program exists, how it works, and how individuals can make it work for them. Several detailed articles can be found through the main USCIS website. Programs such as the EB-5 Visas program often require aid and clarification through a professional services. Legal advice and complete EB-5 services can be obtained through a variety of options. EB-5 Pro is one services that focuses on the EB-5 Green Card program. by Wassem M. Amin, Esq., M.B.A. Since the entire EB-5 program is designed to stimulate job growth in the US, it is helpful to stay up-to-date on everything the Jobs Council is doing. Recommendations by the Job Council appointed by the President of the US are taken quite seriously, and often affect programs such as the EB-5 Visa opportunity. Simply checking with the recommendations made helps educate individuals on the future of the program. Need information on everything pertaining to visas, green cards, and citizenship reform in the US? Whitehouse.Gov provides press releases, complete coverage, and political news pertaining to all areas of US government. The EB-5 Visas program takes center stage in many discussions on the efficacy of economic growth through immigration reform. Navigating the EB-5 Visa program can be almost impossible without the right help and advice. 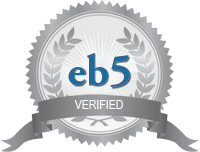 Professional services such as EB-5 Pro allow individuals to file their paperwork and invest with confidence. Teams of knowledgeable professionals are brought together to provide expert services that get things done. The right professional service is able to navigate the EB-5 program much more efficiently.